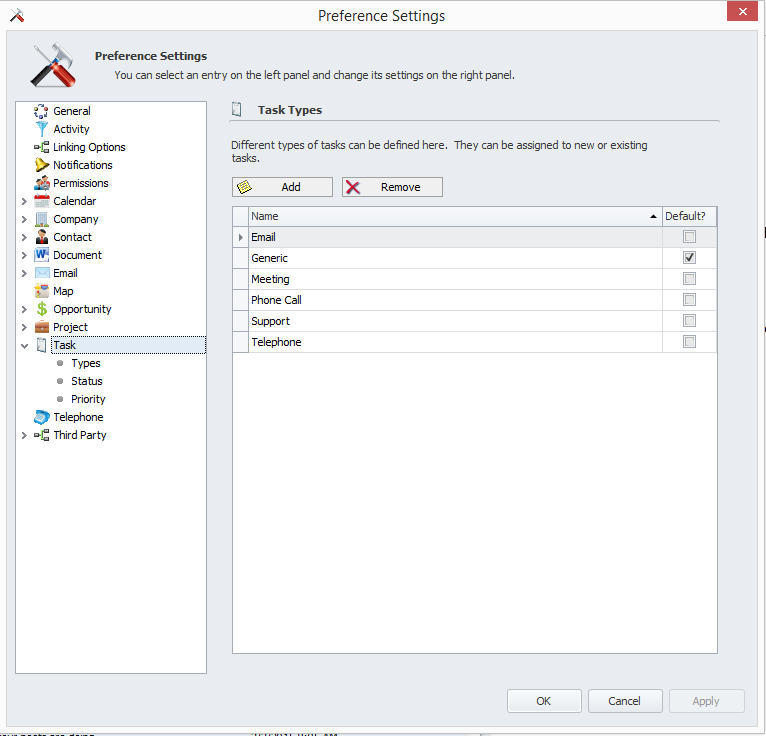 From the InfoFlo interface, click 'Settings' -> click 'Preferences' to open the Preference Settings window. 'Task' Select Task from the List. Click 'Apply' to apply the changes or 'OK' to apply the changes and close the window.